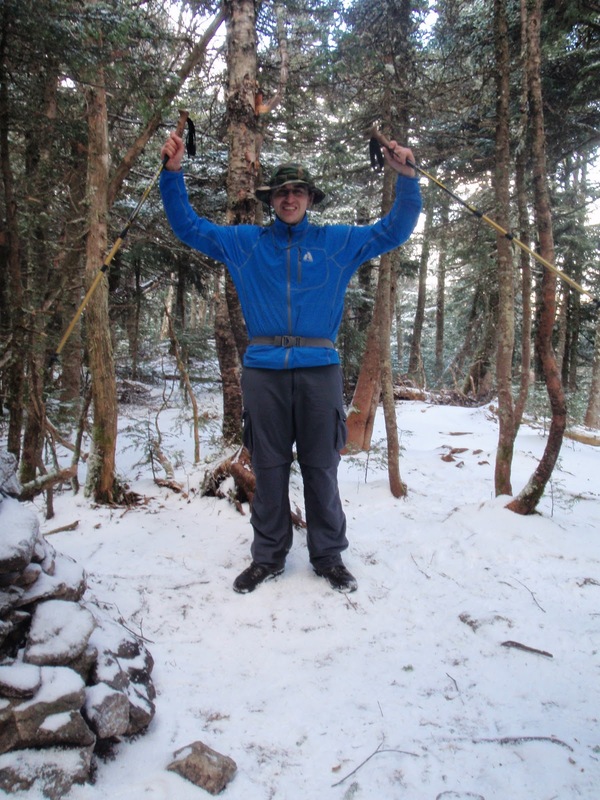 I recently stood on the summit of Owl’s Head which completed my 11 year quest to hike New Hampshire’s 48 4000 foot peaks. Owl’s Head has a bad reputation due to the long approach, challenging stream crossings and bushwhack to the summit. However ideal weather conditions combined with the joy of finishing the 48 4000 footers made this one of my favorite hikes. We pulled into the Lincoln Woods trail-head at 7:30 am to find clear skies with temperatures in the 40s; perfect hiking weather. 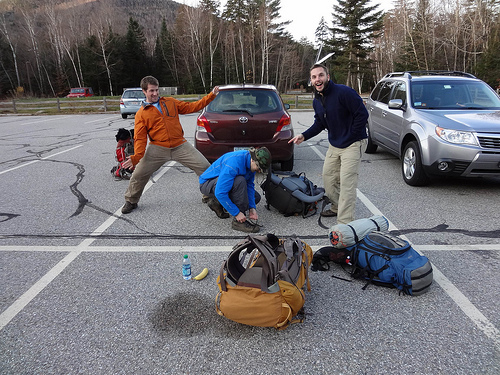 We made final gear adjustments and headed down the Lincoln Woods Trail. This trail used to be a logging railroad, some railroad ties are still there, so it is very flat and straight. This gives you plenty of time to think. I began reflecting that so many of my recent hikes have started or ended on this trail including my last Owl’s Head attempt and Black Pond overnight. 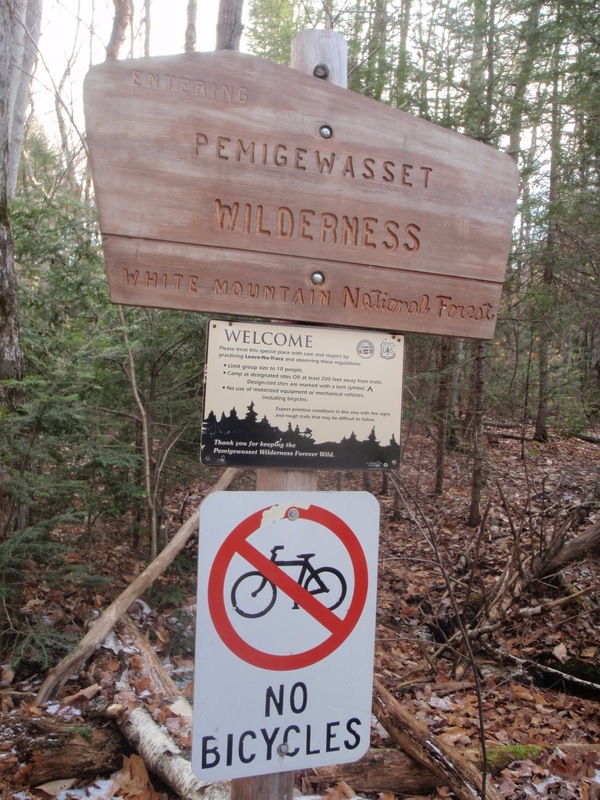 This is one of the more popular trails in the whites because it is accessible, flat and bike friendly, but there was no one else on the trail that morning. 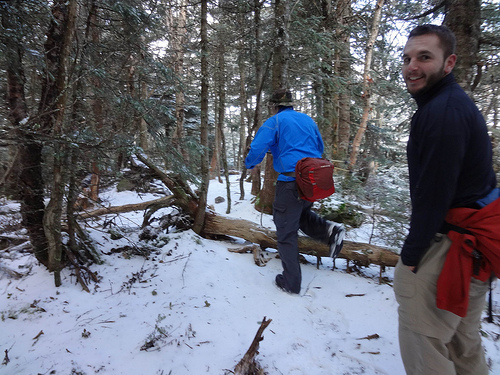 After a few quick miles we found ourselves at the junction with the Franconia Brook Trail which marks the beginning of the wilderness area. We took a break at the remnants of an old railroad bridge. 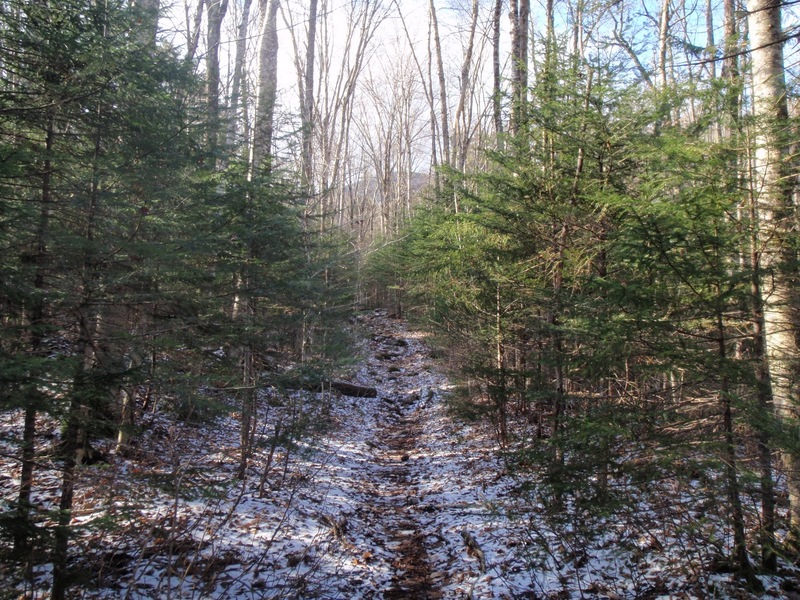 The Franconia Brook Trail is also an old railroad bed with less railroad ties in the trail. We found ourselves at the junction with the Lincoln Brook Trail in what seemed like no time. The Lincoln Brook Trail is not an old railroad bed but it is still pretty flat. Trails like this are when good hiking partners and good conversation are crucial. We soon came to the first of the 3 legendary stream crossings. The water was pretty high so we all planned our route and made it across without getting wet. 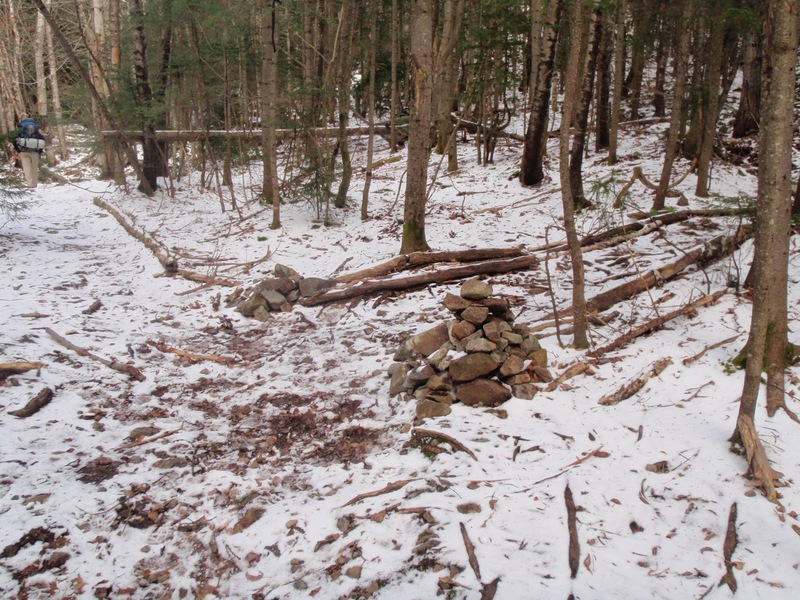 I am told that this was the site of an old logging camp and we saw some remnants of an old bridge that suggested this was true. The next two stream crossings came up quick and they were equally challenging which was refreshing after many miles of flat hiking. 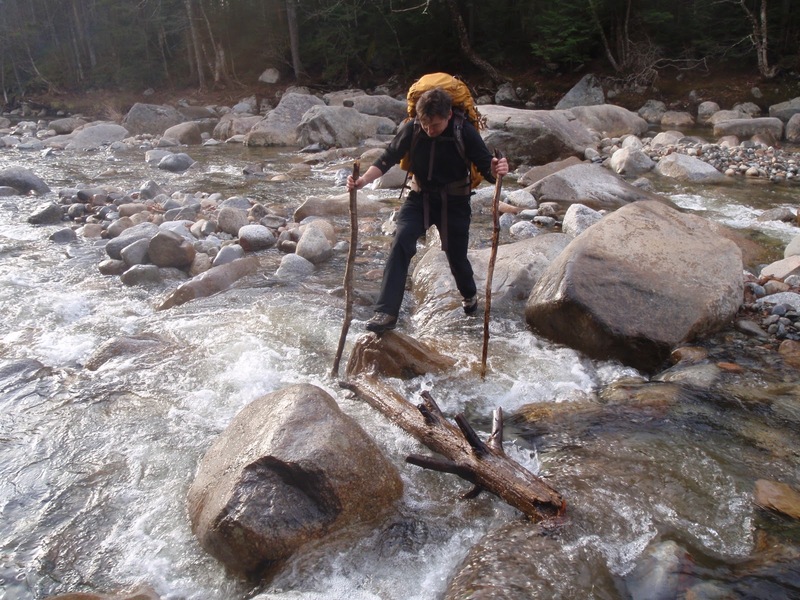 Some people chose to bushwhack routes to avoid these crossings. We finally came to the turn off for the Owl’s Path which meant we were only 1 steep mile from the summit. The turn off is well marked with two cairns. The trail immediately begins climbing up a steep slide which provides amazing views of the surrounding wilderness. I was amazed that you can’t see roads or hear any sounds of civilization from here. At this point conditions were absolutely perfect; the temperature was in the mid 30s, there was a dusting of snow on the ground and the skies were still clear. I can imagine that the slide would be downright treacherous in wet or icy conditions. The slide eventually becomes more gradual as the Owl’s Head Path evolves into a beautiful pine forest. 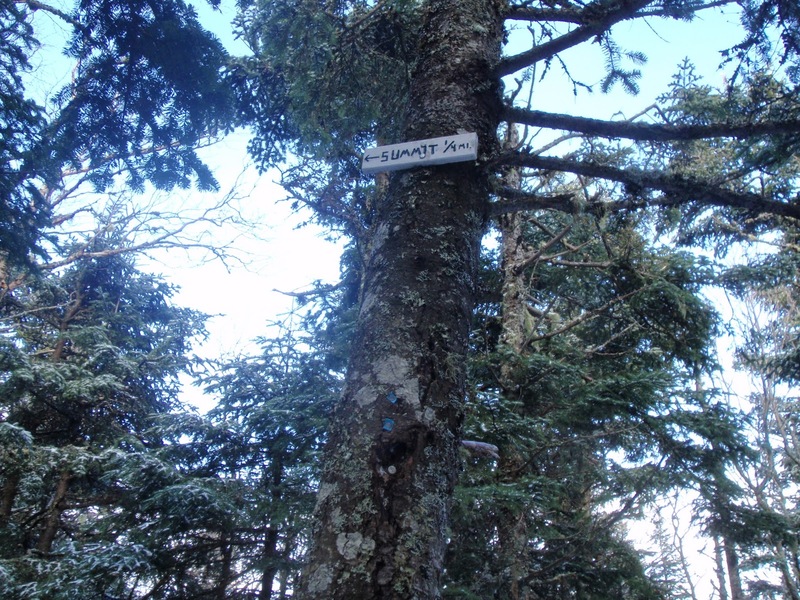 The well defined path continued to meander through the forest but then a sign on a tree let us know that the summit was only a ¼ mile away. I practically ran from there to get to the Owl’s Head summit! 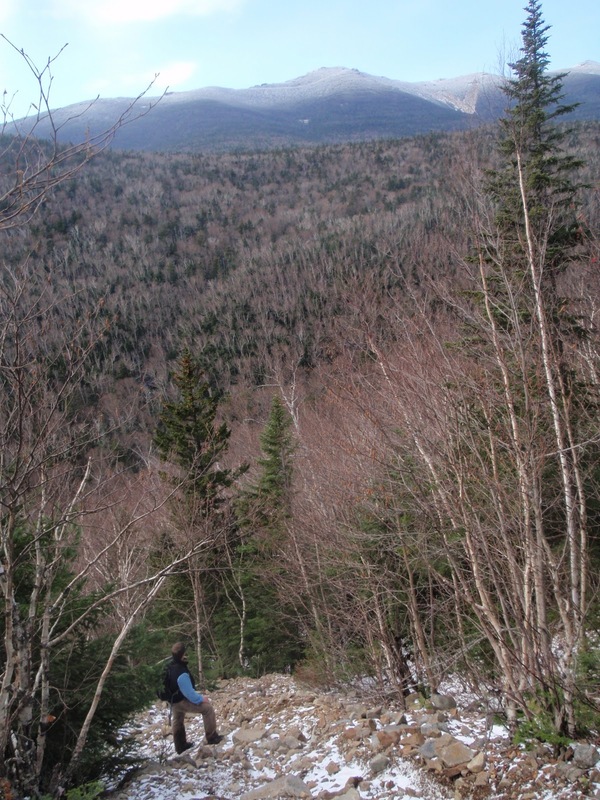 The top of Owl’s Head is nothing more than a wooded clearing but for me it marked the completion of my 11 year to finish New Hampshire’s 48 4000 footers. This was one of the most exciting moments in my hiking life. We spent about 10 minutes on the summit and then decided to head back so we could set up camp before dark. Hiking down the slide was a blissful experience as we were treated the expansive wilderness views all the way down. 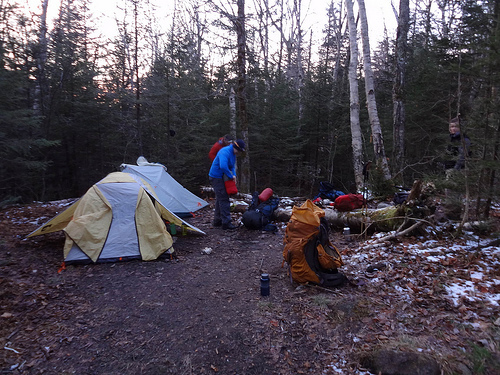 We made camp at an established campsite about 10 minutes from the Owl’s Head Path. 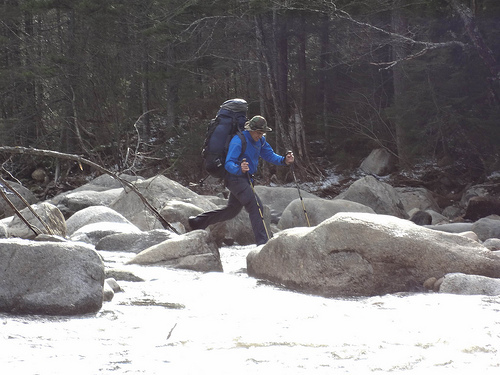 The cold temperatures of late fall in the White Mountains made it easy to fall asleep. We were on the trail by 7 am the next day and hiked out the same way we came in. 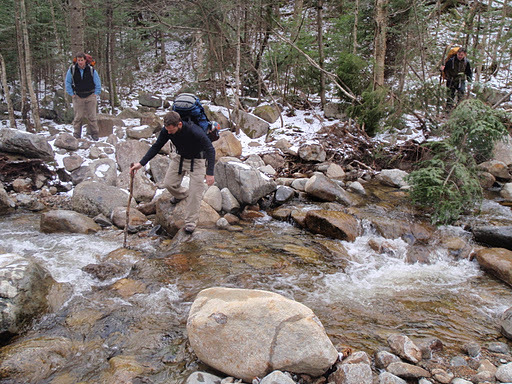 The hike out was flat and fast with nothing but stream crossings to slow us down. We found ourselves at the Tilton Diner for a celebratory lunch by 12 pm. 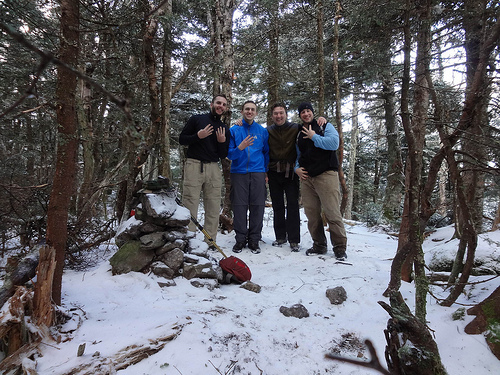 The conditions aligned perfectly to create one of my most enjoyable hikes in the whites. However, be sure to check trip reports before you head to Owl’s Head. High water, ice, or rain can certainly impact the enjoyment of your Owl’s Head experience! Congratulations, Grant! 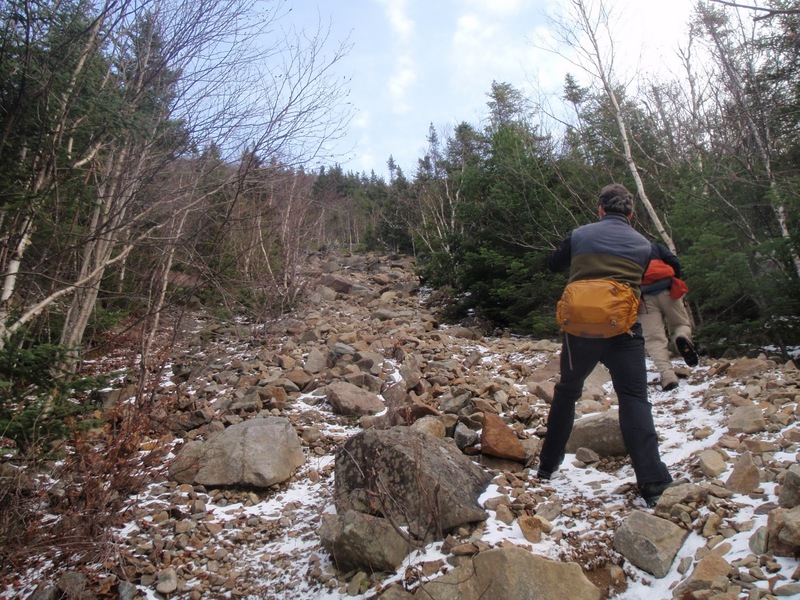 Your description of the trail to Owl's Head brings back memories for sure– I'd forgotten that the Owl's Head slide trail is actually quite exciting. Thanks Ryan! That slide is much more breathtaking than anything I expected to encounter on this trip. What time of year did you do Owl's Head? Good job man, congrats on the summits. This is my first time reading your posts and they're definitely making me miss some epic mtn bike rides back east. Let me know if you ever make it out to Denver we can hit up some good backcountry snow. Keep on keepin' on dude. Brian, Thanks for checking out my blog. It sounds like you are living the dream out in Colorado. I recently became obsessed with skiing and have had Denver on the mind a lot these days. I want to try and get out there this winter, maybe we can make something happen. Hey Grant . . . congrats on your milestone event! 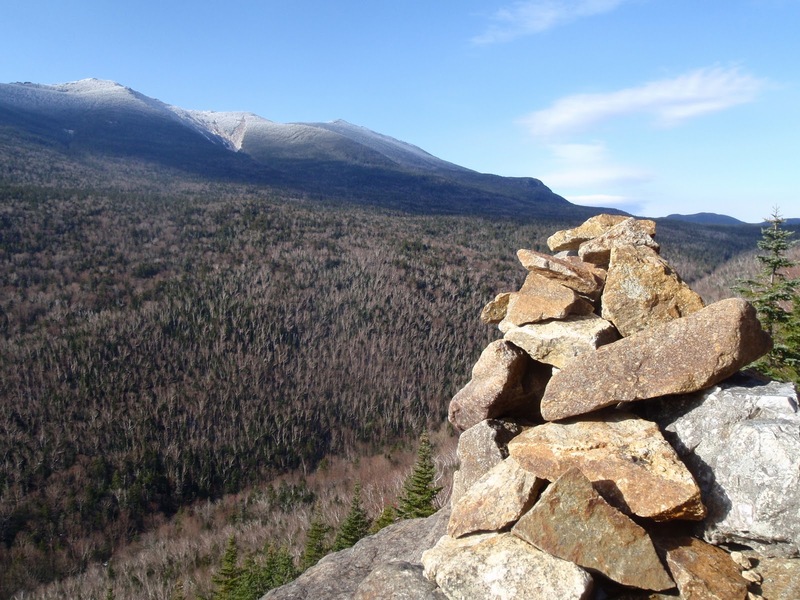 Owl's Head is one of those special places, and so it's totally understandable why you would say that reaching this summit was one of the most exciting moments in your hiking life. Best wishes for your future endeavors! My name is Jocelyn and I am with Dwellable. I am looking for fun and authentic blogs about Owl’s Head and yours happened to catch my eye. If you’re open to it, shoot me an e-mail at jocelyn(at)dwellable(dot)com.